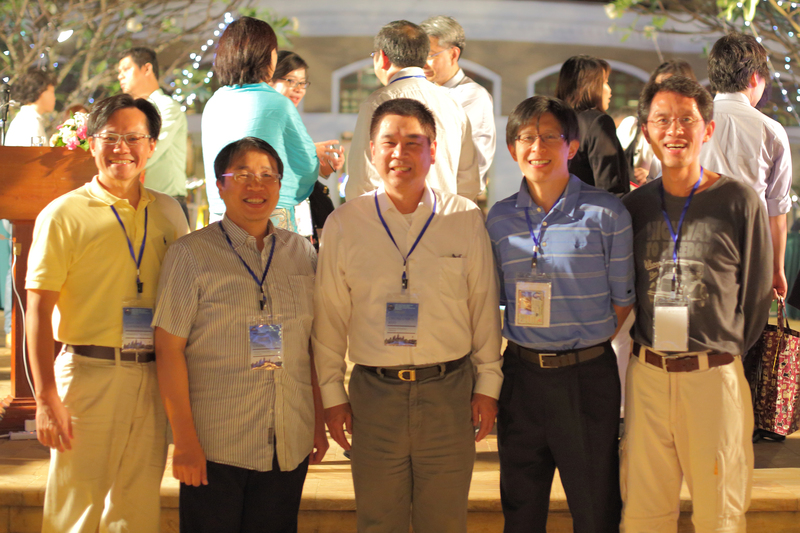 Professor C.-C. Jay Kuo attended 2015 APSIPA Annual Summit Conference (ASC) in Siem Reap, Cambodia, December 9-12. APSIPA represents “Asia Pacific Signal and Information Processing Association”, which was founded in 2009. Professor Sadaoki Furui was the first President (2009-2012) while Prof. Jay Kuo was the second (2012-2014). During his tenure, Professor Kuo launched a major membership campaign through recruiting APSIPA Friend Labs. Right now, APSIPA has around 3200 e-members in the LinkedIn Social Network and 260 APSIPA Friend Labs. Professor Kosin Chamnongthai of King Mongkut’s University of Technology (Thailand), Professor Hitoshi Kiya of Tokyo Metropolitan University (Japan) and Professor Kuo were General Co-Chairs of APSIPA ASC 2014. The conference location, Siem Reap, is the home to the incredible Angkor ruins, a sprawling World Heritage-listed complex of ancient temples, including Angkor Wat, Angkor Thom, etc. Professor Kuo met a couple of MCL alumni from Korea and Taiwan. Professor Kuo completed his two-year term of APSIPA President immediately after this conference, and Dr. Haizhou Li of Singapore has succeed Professor Kuo to become the new President of APSIPA. Dr. Li is a world renowned expert and technical leader in speech processing and recognition.